Alex is a Senior Associate within Mourant's Investment Funds practice. Alex has experience working with a range of different asset classes, with particular expertise with private equity funds. Prior to Joining Mourant, Alex was an associate in the Private Investment Funds practice of Goodwin's London office. Alex trained and qualified as an English solicitor with SJ Berwin in September 2013. 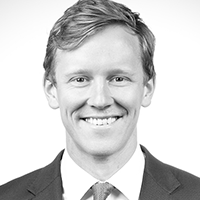 Matt is a Senior Associate within Mourant's Investment Funds practice. He joined the team in 2011, having previously worked in the in-house legal and fund administration teams at State Street (formerly Mourant International Finance Administration). Matt advises in connection with all aspects of collective investment funds and joint ventures, including in relation to fund launches and investment holding structures, and related regulatory and corporate matters. His clients include a number of well-known private equity and real estate fund promoters.